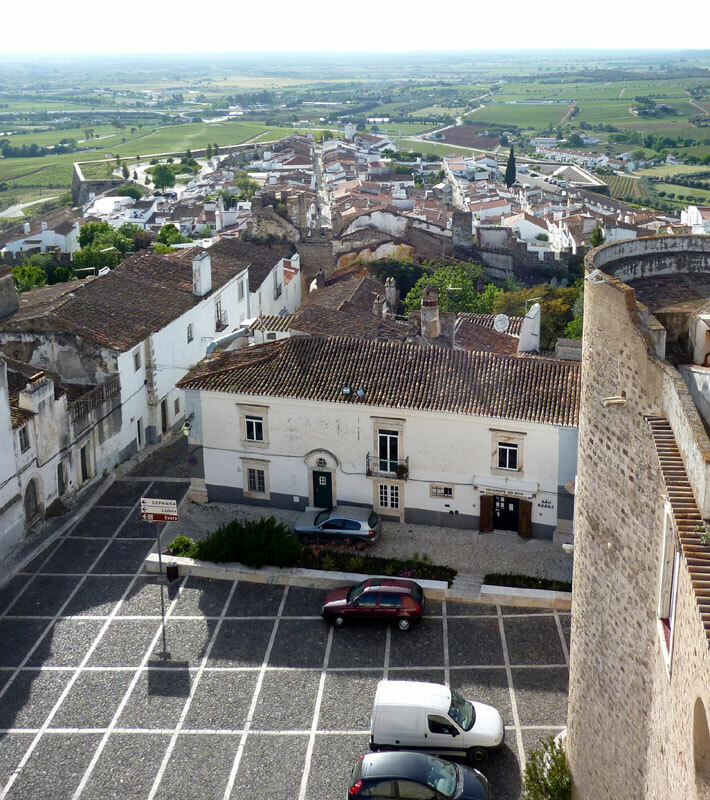 The walled market town of Estremoz uses marble everywhere, including black marble for the streets. 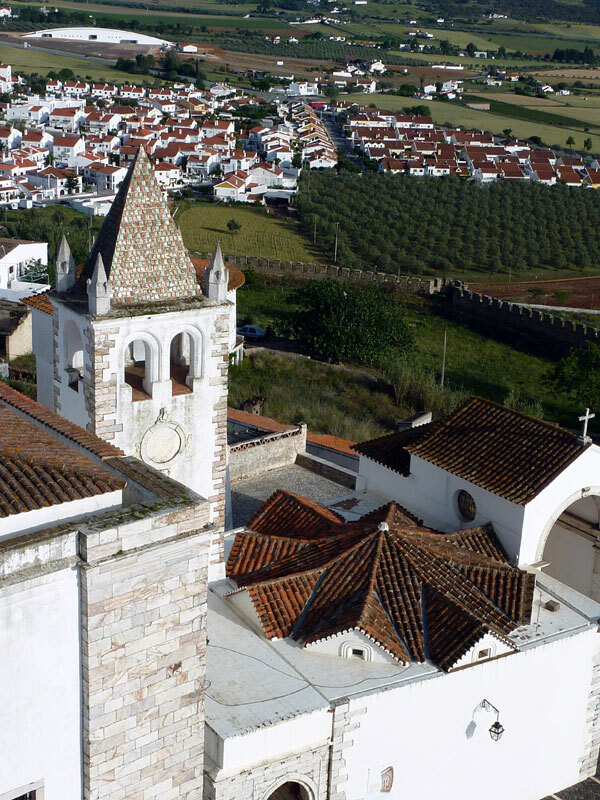 On the hill within the star-shaped ramparts of the upper town stands the former palace of Dom Dinis, the king famous for his administrative, economic and military reforms. 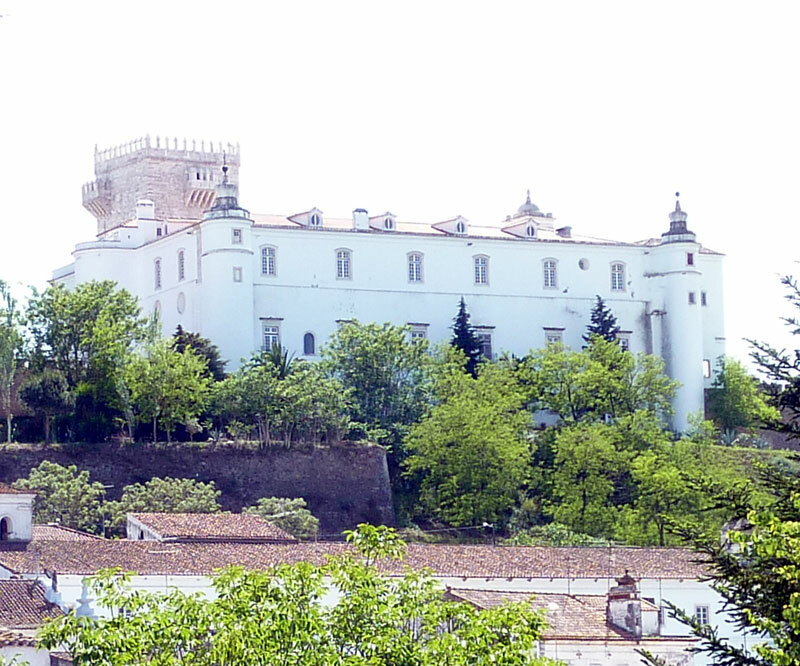 The palace is now the elegant Pousada de Estremoz, named Rainha Santa Isabel, overlooking the town. This is the view from the top of the Pousada looking down at the lower town. 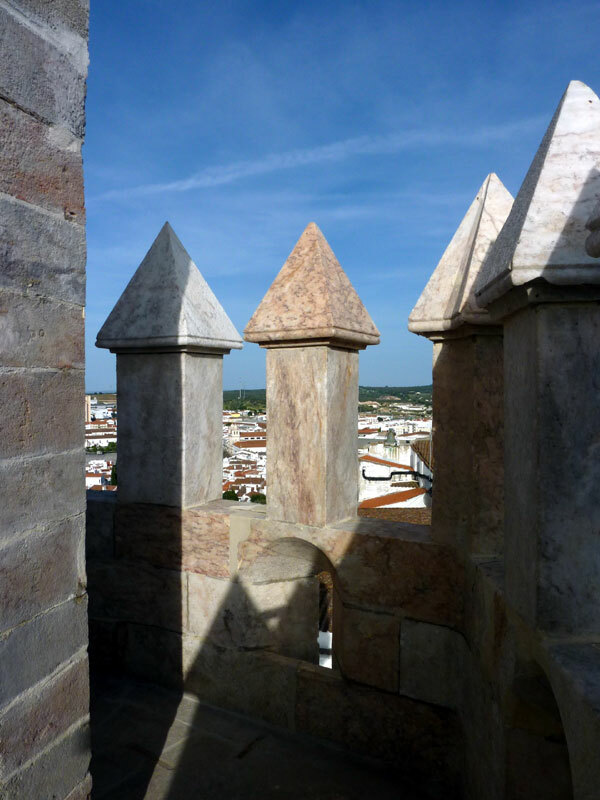 Surprise, the tower of the Pousada is made of marble as well! 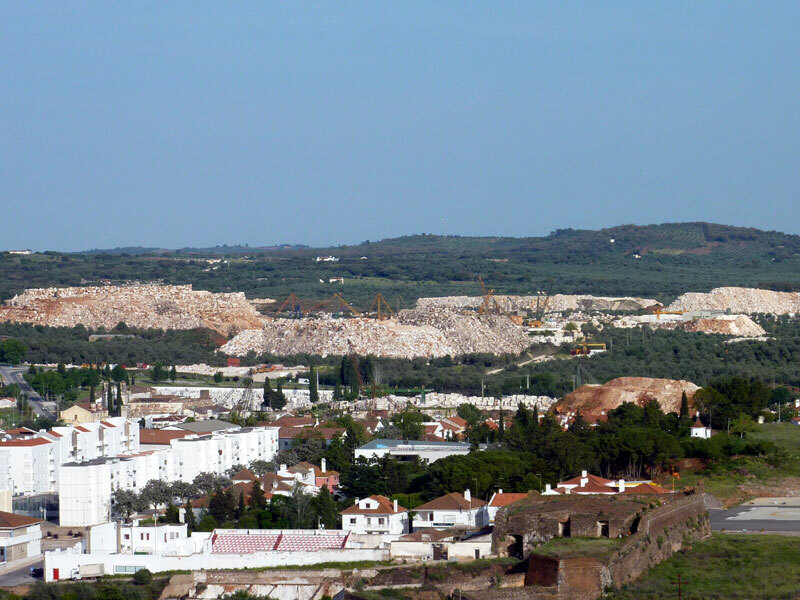 The extensive marble quarries lie just outside the town.